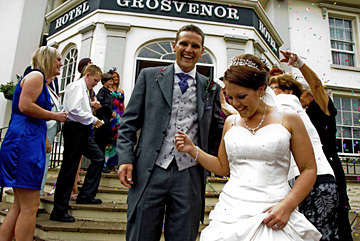 Puma Hotels Collection Billesley Manor Hotel is the ideal wedding venue near Stratford-upon-Avon. Set in 11 acres of beautiful Warwickshire countryside, this Grade II listed, 16th Century, Elizabethan manor house hotel boasts an 100 year old listed topiary garden within the grounds and offers a truly romantic, picturesque setting to celebrate your special day. Whatever type of day youre looking for, whether it's a fairytale wedding with a lavish reception, an intimate celebration with your closest friends and family, or a civil partnership or commitment ceremony we can help you to create the perfect day. We have three beautiful function rooms to host your special day, holding up to 100 guests including the Great Hall with its own Minstrels Gallery and the Topiary Suite, which boasts spectacular views over the gardens and opens out onto the terrace and lawns for your drinks reception. As well as an exquisite interior and stunning grounds, the hotel also offers a Health Club with a swimming pool for your guests to enjoy, and beauty rooms to ensure you feel relaxed and pampered on your special day. This Warwickshire hotel is only a short distance from Stratford upon Avon and the M40, so arriving at the hotel couldnt be easier for you and your guests, and with 72 bedrooms your whole day can be spent at this unique venue. Warwick Road, Stratford-upon-Avon - 01789 269213. The Best Western Grosvenor Hotel in Stratford upon Avon is a delightful Grade II listed hotel located close to the centre of Stratford upon Avon, in the heart of Warwickshire, only a few miles from Warwick, Leamington Spa, Birmingham and the National Exhibition Centre (NEC). This Georgian style hotel is one of the most distinctive hotels in Stratford upon Avon, the delightfully rambling ground floor exudes tremendous character with small, intimate lounges, creating an ambience to match the Shakespearean past of this historic market town. Whether its a small intimate setting or a larger party you are planning we can cater for all your needs with function rooms accommodating up to 120 guests. Call us today to speak to our Wedding Co-ordinator about our fantastic special offers and facilities. All Inclusive wedding package from £2,000 tailored to cover the whole day from wedding breakfast through to evening reception. 10% off your Winter Wedding between October and March. Discounted accommodation rates for your wedding guests. Award winning cuisine, from a simple finger buffet to a lavish banquet. The hotel's experienced chefs can create a wedding breakfast to impress your most discerning guests. The restaurant, with its wonderful views and luxurious ambience, is an integral part of the hotel and is renowned for its award-winning cuisine, having again been awarded the AA two rosette award, and being recommended in Johansens, Atkins independent Guide for Fine Wines and Champagne, and featured on the BBC Holiday Programme. The Riverside Hotel is a unique and privately owned hotel set in a beautiful location with spectacular views overlooking the river Avon. The hotel can be found along a secluded private drive, with views of the original 12th century abbey. The Charlecote Pheasant Hotel can be found in the delightful Warwickshire Village of Charlecote, just 2 miles from the M40. It is 5 miles from Stratford-upon-Avon and opposite the National Trust property of Charlecote Manor and Deer Park. 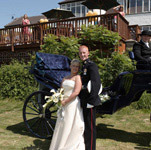 Our attractive rural retreat is set in beautiful gardens which is the ideal venue for your special day. The hotel boasts 69 bedrooms which were all refurbished in 2008. The hotel also has, conference facilities. It is an ideal setting for a short break, wedding or even a business meeting. Warwick Road, Stratford-upon-Avon - 01789 295252. Set in 157 acres of beautiful parkland, just outside Stratford-upon-Avon, the Menzies Welcombe Hotel Spa & Golf Club is steeped in history and tradition. The sumptuous surroundings of this magnificent hotel, the luxurious bedrooms, the superb choice of function rooms, the stunning gardens and grounds, the splendid golf course and fabulous spa combine to make the Menzies Welcombe the perfect location for your wedding. The Menzies Welcombe is wonderfully romantic. Built in the style of a Calendar House with 7 entrances (days of the week), 12 fireplaces (months), 52 chimneys (weeks) and 365 windows (days of the year), it is said to infuse luck and prosperity to everyone who stays. The perfect place to hold your special day. We understand how important even the smallest detail is to you and our experienced and dedicated team will be on hand to ensure everything runs exactly as planned to allow you to relax and enjoy every moment. We provide marquees for a whole range of events for a wide variety of customers ranging from corporate events to wedding receptions, birthday parties, christenings, anniversaries and various other celebrations. Corporate clients we have worked with are detailed further in the web site. Banbury Road, Ettington - 01789 740000. Warwick Road, Stratford-upon-Avon - 01789 731173.